Stephanie LeMenager, the co-editor of Resilience, was interviewed on the CBC radio program The Current with Anna Maria Tremonti about the role of the arts and humanities in climate change response. April 3, 2014. In this interview, Resilience board member Stacy Alaimo discusses her groundbreaking book, Bodily Natures, and the limits of humanism. 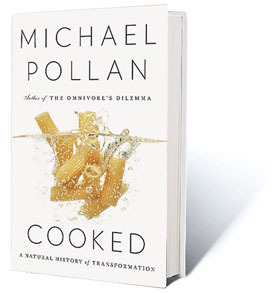 In a provocative review of Michael Pollan’s latest book Cooked, Resilience editor Allison Carruth explores the bestselling science writer’s romance with primordial forms of cooking. The review, published in Public Books, tackles contradictions in the book between Pollan’s curiosity about food science and his moral imperative to cook traditionally.